All communication platforms have a voice, a tone, a personality. One of the reasons social media is effective is that brands (personal, orgsnisationsal or corporate) are now able to show their voices and personalities better. That’s why people are more able to engage with them. In many traditional media like TV, radio, or print, many communication attempts by brands are often seen as purely selling tactics or just a publicity ploy. In social media, people actually deliberately choose to engage with brands by following, liking or subscribing (to) them. It’s almost equivalent to asking brands to stuff junk mail in our mailboxes, or to sign up for a list so brands can give us marketing or sales calls (just before we eat our dinner at home!). Why? It’s because unlike traditional ads or marketing tactics, brands almost seem to come to life on social (if they’re doing it right). And that’s because of being able to use a brand voice and personality that represent your organisation well, and that stakeholders are able to relate to. Such brand voices on social media can be funny, quirky, but educational (see Vi Hart YouTube videos). Or, they can be heartwarming, community-focussed, and informative (see Charity:Water Facebook page). 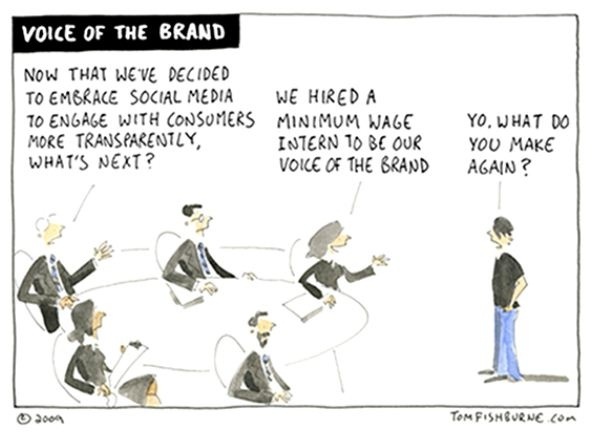 So, why is it important to understand social media voice for your organisation? When nonprofit and corporate leaders tell me that they wish to hire a student, intern, graduate, or volunteer to handle their social media channels, I cringe inwardly. Yes, anyone can learn to do social media. Some students, interns, graduates, and volunteers may even know how to do social media well. But, are they the best people to speak for their respective organisations? Like it or not, that’s effectively something that social media managers do: They think and provide a voice for the nonprofit, company or client that they’re working for. Sure, having an in-house style guide may help prevent some of the basic mistakes. But, I’m not sure if there’s a style guide available for many organisations on how to be the brand’s online ambassador. Having said that, one of the reasons understanding your brand’s social media voice is very important is that it can help you to develop a social media style guide, which is an important aspect of practicing as effective social managers. Having a social media style guide will help social media managers to identify content plans, find content sources, and target engagement areas, amongst other things. So, at the end of this article, I will be providing you a simple worksheet that you might like to use when trying to better understand your brand’s social media voice. Each brand voice is shaped by five attributes: Brand Persona, Tone, Language, Messaging and Rationale. Each of these attributes will help you to look at how you are creating and sharing your brand on social media. This is the characterisation of your brand. It should describe the personality of your brand that best appeals to your audience. 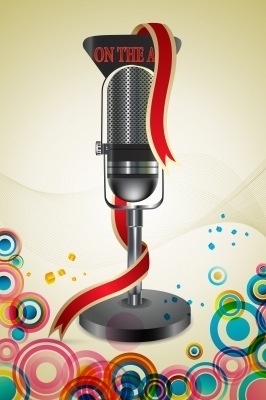 This is the “sound” of your brand’s digital voice. It tells people what type of approach you’re going to use when sharing information, responding to comments, and more. This is the type of language that will be acceptable in updating posts. This is the ultimate message or approach that your brand wishes to convey on social media. It explains what your brand story is all about. This determines the reasoning behind the brand’s social media presence. As part of the work that we’re doing with a client here at Vervely, we’ve conducted a Social Media Voice and Personality workshop for the team. This was delivered via webinar, with a worksheet and slide deck that we worked with. During the presentation, we’ve filled out the worksheet with participants’ feedback, and was later pulled together in a report, which contained the beginnings of a social media style guide for the team and it’s subsidiaries. If you would like a copy of the worksheet that we used with the team, do subscribe to our free newsletter. You will receive the password to our Social Media Voice & Personality Worksheet in the next three issues (Nov ’12, Dec ’12, and Jan ’13). If you don’t want to wait until the next issues (and/or if you wish to have permanent access to our free resources whilst you are a member), do join Vervely’s VIP Circle (Premium Member). Do you need to understand your organisation’s social media voice or personality? Contact Vervely today and we’ll help you. We can deliver our workshop to your social media team (or selected group). This workshop is available in-person (your office, or in Adelaide CBD office) – or via a live webinar. We have conducted this workshop to a client’s team based in Singapore, so yes, you can be anywhere in the world.